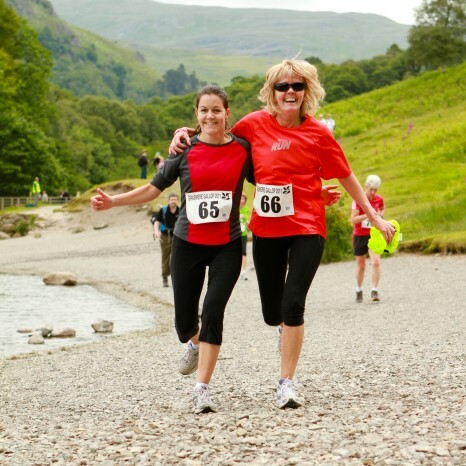 Described as `a perfect 10` the Grasmere Gallop 10k Trail Run takes you through some of the most beautiful landscape in the country, the Vale of Grasmere and Rydal, the place that inspired the foundation of the National Trust. The route leaves Grasmere village, initially along a C road before leaving the road to climb through Deer Bolts Wood and then onto the stunning Loughrigg Terrace. Continue along and over the shoulder of Loughrigg, passing Rydal Cave and then return to Grasmere via the shorelines of Rydal Water and Grasmere. There is even an optional water dash for those of you brave enough to try.